Is The Default WordPress Comment System Best for SEO? Blog > Search Engine Optimization > Is The Default WordPress Comment System Best for SEO? There are a bunch of different commenting systems for WordPress, and they all have their pros and cons. I can’t tell you for certain which one is the “best” because they all have their own merits. What I can do, however, is give you an argument for why you might consider using the default comment system instead of one of the plugin options available. One of the biggest benefits of WordPress as a platform is the sheer variety of different ways you can tweak it. Pretty much anything you could want to do, from changing the theme or skin of your site to changing how it functions at the most basic level, can be done with a plugin or a framework of some kind. The problem is, this tends to give people tunnel vision. Since WordPress can be tweaked to such an extreme level, many of us feel like we need to tweak it in every way possible. Why leave image SEO to the platform when you can use a plugin? Why use the default skins when you can use a custom theme? Why use the default comments when you can use some other comment plugin? The fact is, there’s not always anything wrong with the way things work on their own. Plenty of blogs, including many large blogs, run the default comment system. It works just fine! In fact, there are some benefits to using the default WordPress comments system. The first benefit is simply loading speed. 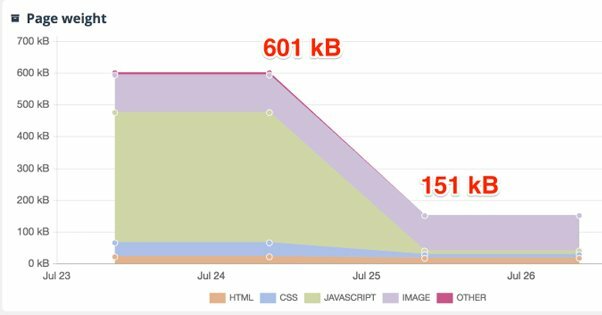 Any plugin you use is going to slow down your load times for your site, if it’s in any way user-facing. The exception is when you’re using something explicitly designed for speed, like the Genesis Framework or one of the caching plugins. Comment plugins are very rarely designed for speed; they’re designed to add more features. This isn’t to say that WordPress comments are perfect already. You can take a few steps to speed them up and get that much more benefit out of them. Compare to, say, Disqus, which has to load something like eight different scripts every time a user loads the page. It has its own CDN, its own authentication process, its own way of storing comments, and all the rest. Caching plugins also work with the default WordPress comment system, when they might not work with other commenting systems. A caching plugin isn’t going to work with Facebook comments, since the data for Facebook comments is loaded from Facebook itself. Facebook has powerful CDN servers and can load pretty quickly, but it’s not static data that can be loaded with a simple cache solution. WordPress default comments are also very SEO-friendly. One huge benefit to comments on your blog is the added SEO benefit of having all that extra content. Neil Patel argues that blog comments can have a dramatic increase to the volume – and occasionally the quality – of the content on a given page. Deep, insightful comments with relevant discussion can go a long way towards making a 2,000-word blog post into a page with 4,000 words worth of high quality content. This, of course, only matters if you put the effort into the comments. You need a community that will leave those kinds of high quality comments, and you need to be engaged with your community to respond to them and continue the discussions. You also need to be very active with moderating the comments you get, to remove the spam and poor quality comments. That’s not unique to WordPress comments, though; you need anti-spam and moderation for every comment system you might choose to use. Of course, the main reason WordPress comments are so SEO-friendly is simply that they exist. I know in the past that Disqus has had issues with comment display; the comments don’t load on the page until a certain point in the user’s browsing, which means SEO crawlers often don’t get to see them. They might as well be invisible to Google. 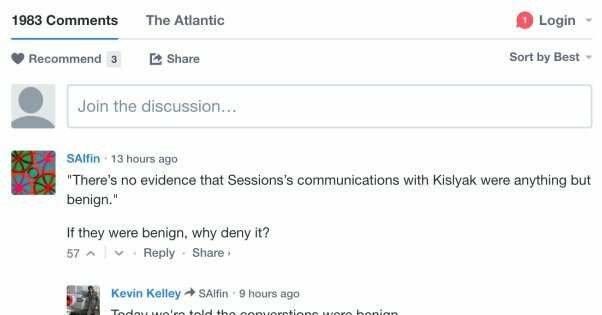 Disqus isn’t the only one, either; some comments are loaded in an iframe, like Facebook’s, or are otherwise hidden from bots. It’s a bit of an anti-spam measure, but it’s also detrimental to SEO. The default WordPress comment system is also, as you might expect, free and ad-free. You don’t need to pay for a plugin to get it working, and you don’t have to worry about some kind of pageview limit or ad embeds. 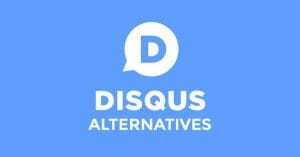 Disqus is the primary offender here; they run ads on your content, which makes your site look worse and hurts the user experience, and they can charge you if you get enough traffic. 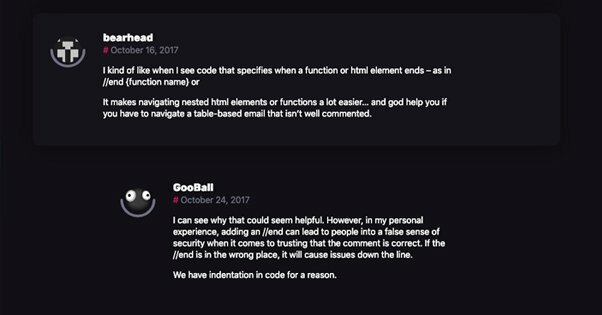 From a kind of technical perspective, the fact that default comments are stored and managed locally is a pretty big benefit. Some comment plugins require you to log into a third party system or import comments if you want to manage them, which is an additional hassle you don’t want to have to deal with, particularly if you have hundreds of comments to manage. It’s not a problem for everyone, but it can be an annoyance. Every comment plugin has some kind of spam protection, with varying degrees of utility. The default comment system has Akismet, which is in my experience a very good and useful anti-spam system. Facebook relies on Facebook’s own systems, but if you’ve ever seen the comment section on a popular post, you know it might as well not exist. And so on. Some spam will slip through even the best filter, so this mostly comes down to preference. One of the biggest benefits of the built-in comment system, to me, is just how customizable it is. You can tweak every single color, font, and size of the comment system using your own CSS or tweaks to the WordPress files involved. It’s quite easy, and it means you can match your comments to your site perfectly. Other comment plugins don’t allow this kind of tweaking. Most only have a light theme and a dark theme, or allow you to set a few basic color options, but nothing more. Personally, I prefer if my comments don’t stand out like a sore thumb. It’s also worth noting that the WordPress comments system, since it’s designed for WordPress and is built in to WordPress, is not going to cause conflicts. Installing a plugin might cause issues with other plugins that interact with the same element of your page. It’s not too difficult to get a full setup of plugins that don’t conflict these days, but by using default comments, you eliminate one possible vector of irritation. Finally, it doesn’t require logging into any third party authentication system just to comment. 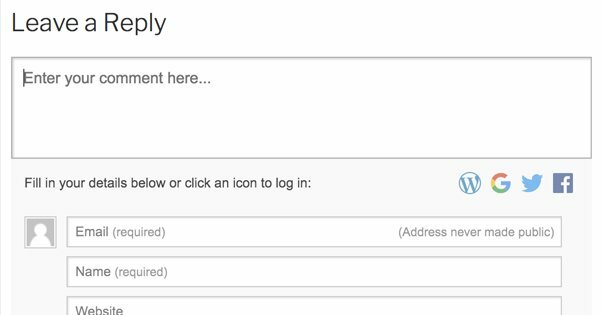 Users can leave a comment with or without using Gravatar, so the barrier to entry is a lot lower. The moderation burden is higher for that reason, but it’s still not difficult to manage. There are, of course, a few downsides to using the default WordPress comment system. For one thing, they’re very basic comments. 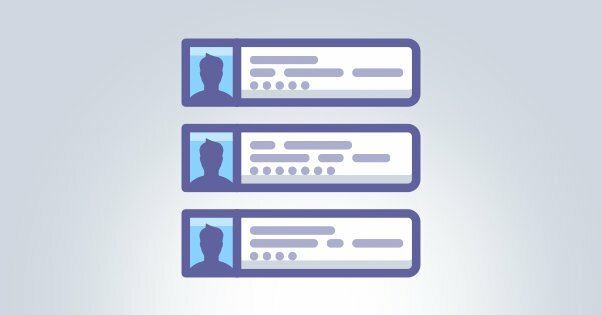 You don’t have user profiles – even Gravatar is just avatars – and you don’t have much in the way of cross-blogger or user networking. That’s fine, of course, if you don’t care about building your own miniature social network on your posts, but you can still benefit from a third party integration in some circumstances. You might also lose out on some specific comment analytics, such as those provided by Jetpack, or on additional calls to action like Facebook comments can provide. Facebook comments in particular can be beneficial for getting deeper integration between your site and Facebook, and can help you encourage your blog readers to follow you on Facebook as well. It’s a way of mixing the two audiences. If you’re interested in spicing up your comments on a WordPress blog, you have a lot of different options. I still think that simpler is usually better, up until you have hundreds of comments per day that you need to moderate, but at the end of the day the choice is yours. Enhanced Native Comments. You can spice up your native comments using Jetpack or some of the other basic comment enhancing plugins. This still runs on the baseline WordPress comment system, but gives you some additional features, back-end analytics, and so on. The downside is predominantly that you’re trading some speed for some minor benefits, but neither change is hugely significant. Thrive. 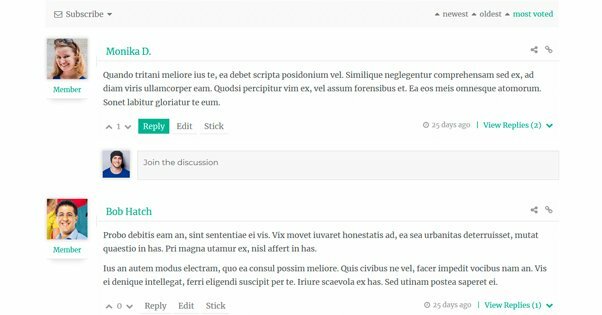 Thrive Themes has a whole suite of paid plugins to enhance WordPress, and one of them is a comments plugin. 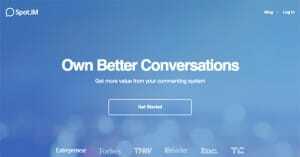 It adds some features similar to a social network like Twitter, where users are able to like other comments. It also adds some badges and gamification features to further incentivize commenting on your site. This means you’ll need to moderate your comments more heavily, but it can be encouraging for a relatively small audience. You also have the option to sort comments by vote, making them fairly Reddit-like in organization. The downside to Thrive is that it’s a paid system, and a license for one site will run you something like $40. Disqus. 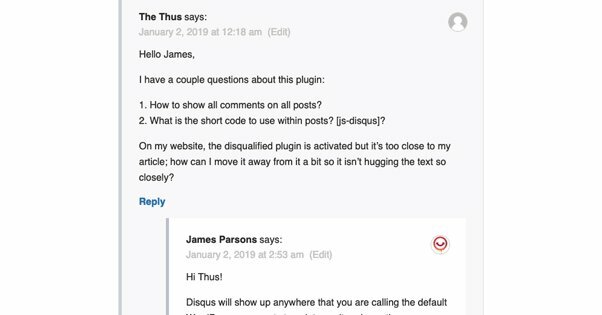 Disqus is one of the most popular third party plugins, and it works just fine. I don’t’ like it much – they have issues with SEO sometimes, they’re slow to load, and they monetize your site, none of which are benefits in my book. Still, it’s a more powerful system while still being something familiar enough to your users that they can comment without issues. 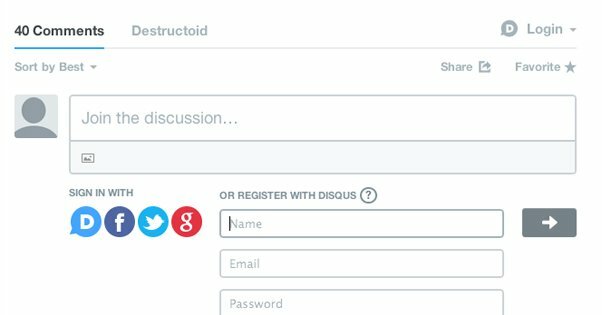 A ton of people have Disqus accounts at this point, so it’s not a huge barrier to entry. WPDisquz. This is a relatively small plugin in comparison to some of the others, with only 40,000 active installs according to the WordPress plugin directory entry. It’s aimed at speed and responsive design rather than any more advanced features. It works with Akismet, BuddyPress, and a handful of other popular comment-adjacent plugins, and it’s quite reliable. The core plugin is free, but they have an advanced paid version starting around $25. I consider this to be a pretty good alternative to a Jetpack-enhanced default comment system. GraphComment. This is a very small commenting plugin that a few people seem to really like, so I’m giving it a bit of a look. It’s a fairly robust comment plugin, though it’s limited in terms of themes and some of its functionality if you have a larger site or need advanced features. The pricing for a paid plan is reasonable, though more than I’d like to pay considering all of the free options. 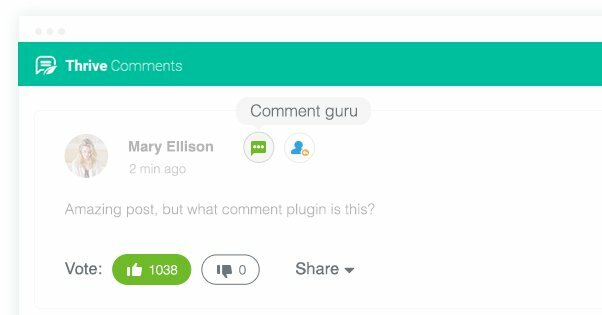 In a way, this plugin turns your comment section into something akin to a self-contained Reddit or Twitter interface. CommentLuv. CommentLuv is something with a bit of a contentious history. It has been used as a sort of gray-hat SEO plugin, as it’s the only comment plugin that offers followed links in comment profiles. You have to do a ton of active moderation to use this plugin effectively. Here’s where things get tricky; CommentLuv is under new management. I have absolutely no idea how they plan to change the plugin in the next few months or years. Keep an eye on it! There are, of course, a lot of other comment plugin options you can research. We’ve covered a bunch of them before here and here, and even that doesn’t cover every option. Feel free to do some digging, and hey, if you run a blog and you’ve tried out different comment systems, let me know in OUR comments what you’ve thought! What’s your favorite comment plugin thus far? Does The Disqus Comments Plugin Slow Your Site Down? What is The Best Commenting Plugin for WordPress Sites?